Have You Got What It Takes to Learn Code? Makers Academy is a Web Development academy offering on-site and remote courses. As part of a press release and promotional marketing campaign, we helped put together an interactive quiz. 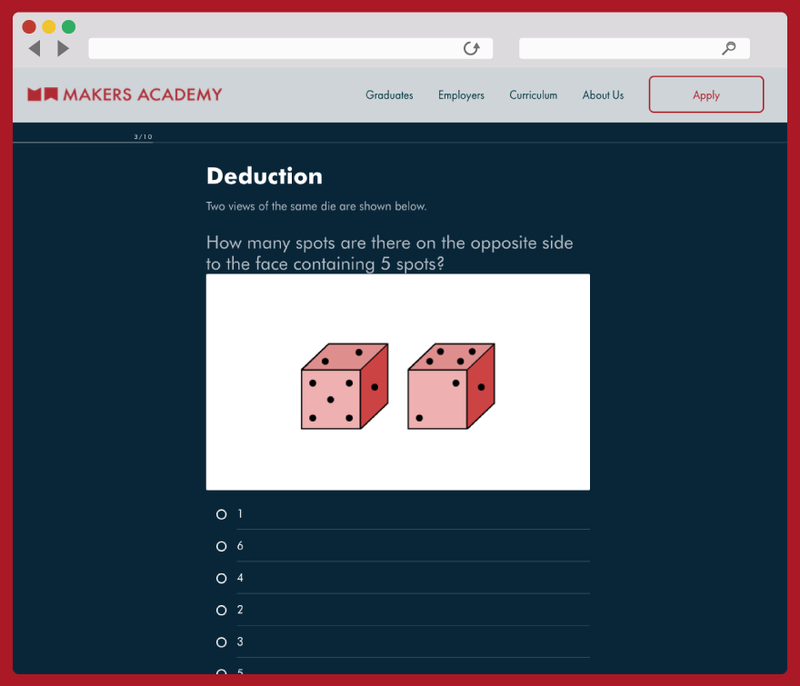 The quiz was embedded on Makers Academy’s site and a press release was sent out with a link to the quiz encouraging people to take part. Makers Academy – Have You Got What It Takes To Learn Code?